We are the premier floor covering showplace in Truckee, CA, and your one-stop showroom for all of your floor covering needs. 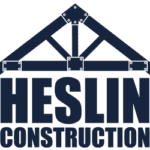 Since 2003, Heslin Construction has set the standard for excellence in custom home construction in the greater Tahoe area. We focus on the unique features and details of each project, as well as the specific budget requirements of our clients. Because we concentrate on quality rather than quantity, our management team and craftsmen give your home the attention it deserves. In House Builders is a full service design build firm, focusing on energy efficient design, and clean organic lines that provide a mountain modern flare. Since 1994 Mark Tanner Construction has been the leading builder of custom homes in the Lake Tahoe Truckee area. Our dedicated crew can transform any space into an expression of who you are! We specialize in creating livable, workable, and flexible spaces that meet the needs and inspirations of our clients. Mark Tanner Construction is not just a construction company, but a team that puts value and creativity behind every project. Whichever the scenario, Mark Neave and the NSM team, are ready to bring clients’ home concepts to fruition. Mark’s creative problem-solving juices start flowing the minute he receives a potential client’s phone call or email. The custom home building experience is about the homeowner. At Vineyard Custom Homes, we actively listen to our client’s vision then create to their expectations. With the highest attention to detail, each Vineyard Custom Home is unique, using only the finest finishes and materials. Whether your style is Mountain Modern, Ultra Contemporary or Tahoe Traditional, our team will create it with exacting standards. Whether it be a fully-custom home or an addition to your existing residence, to realize the potential in any home improvement project requires an enormous amount of planning and expertise. Welling Construction takes great pride in sweating the details, and at no point is this outlook more crucial than at the onset of design development.